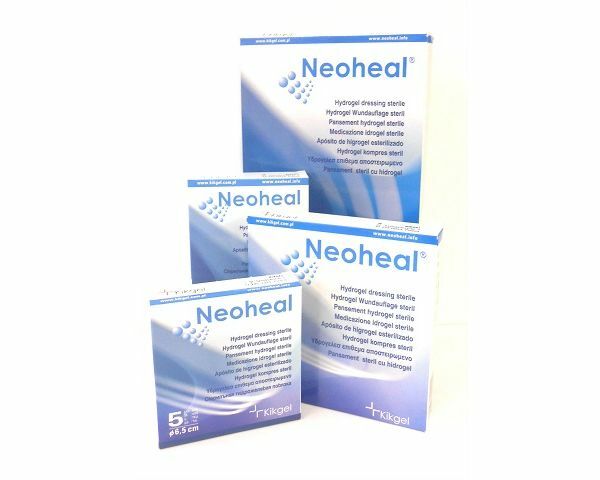 Neoheal creates a moist environment on the skin surface, assists in autolytic cleansing of dead tissues, and exerts a positive influence on the process of granualtion and epidermisation of the wound. The dressing adheres well to the surface of the wound but is not adhesive; thus application and removal is painless. Neoheal absorbs exudate from wounds and traps it, along with bacteria, in its structure. The elasticity and flexability of Neoheal make it possible to dress difficult to access areas such as the face and areas around joints. Neoheal dressings are transparent, enabling observation of the wound site or primary dressing and minimising the frequency of changing dressing. Thanks to its properties it can be used as a secondary dressing for many drugs and preparations placed directly on the wound. The unique structure of the dressing creates a barrier to external bacteria, yet enables the skin to 'breath'. For more sizes not available online please contact us by phone or email.